The world sympathized upon seeing the horrific injury of an Armenian weightlifter at the Olympics in Rio last August 10. Andranik Karapetyan contented in the 77kgs division. He was lifting 195 kilograms (which is equal to 430 pounds) and during that time, he seemed to dislocate his elbow. He directly dropped the weights and screamed in pain. Pain is the number one warning sign of the body that there is something wrong with it. In weightlifting, elbow pain is a sign that you overuse it. It is important that you address the problem before it gets worse. Maybe the weightlifter felt something and he still pursued. Who knows? Even if you are able to train with joint pains, it does not mean that you have to ignore this important warning sign. Get a massage: If you are feeling pain in your elbow, there is a big chance that it is caused by an imbalance or soft tissue constraint. When this happens, you have to get a massage from licensed therapists or you can use Self Myofascial Release (SMR) for your upper back, lats, biceps and pecs every day. Stretch your elbow as well as your wrist flexors: After using SMR, it is good if you stretch the elbow to improve the quality of its tissues. In elbow stretch, you extend your elbow then wrists after you slowly pull it using the opposite hand. Limit isolation exercises: If the pain is recurring, that only means you still pursue single joint or isolation exercises like shoulder flies and bicep curls. Should you continue despite the pain, you are making things worst. Choose full body exercises like pull-ups and push-ups. Get supplements: You should know that omega 3 can reduce the inflammation that is why it is important that you get supplements of it. 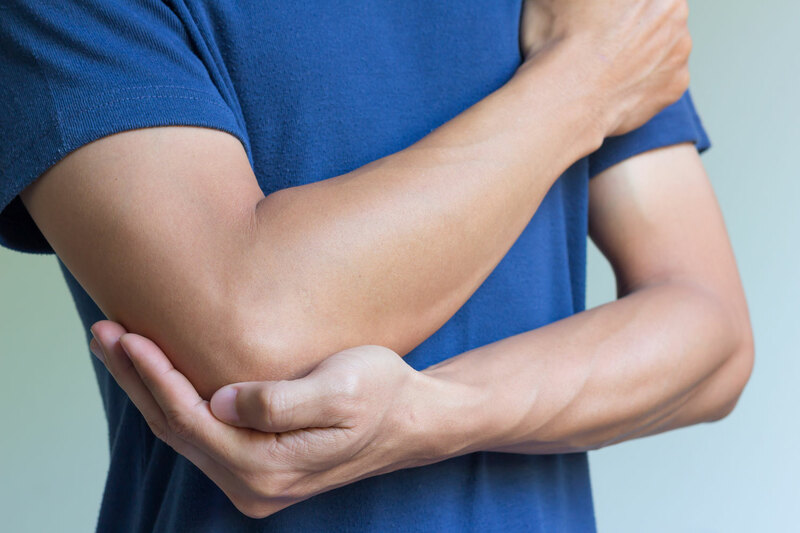 Omega 3s or fish oil can facilitate with the reduction of swelling including scar tissue formation in your elbows. Do the switch: This switch may be hard but it can do your body good at least temporary. You have to switch from barbell to dumbbells. Your elbow will not be overused and it will surely thank you. You have to remember though that if the pain still persists and it is severe or chronic, you should consult your physician right away. There are many physicians here in Singapore that you can consult and they can help you. It is worth the money and the trouble.